The rump AMP NZ business, queued for a potential NZX listing this year, would generate about half the profit of its former self based on current trends, new figures published by the embattled group last week reveal. In a market update, AMP accounts show the firm’s now-sold NZ insurance and legacy book turned a profit of A$26 million over the six months to June 30 last year. During the same period the AMP NZ wealth management and advice arms – listed as separate line items for the first time – netted the ASX-listed firm A$28 million. According to the AMP release, the NZ wealth management business (mainly comprising the group’s $5 billion plus KiwiSaver scheme and approximately $3.3 billion superannuation master trust) cleared A$21 million for the first half of 2018 while its advice services contributed $7 million in net profit. The NZ wealth management and advice results were on a par with the 2017 performance where the units returned a respective $41 million and $13 million to the AMP bottom line: the NZ mature and life businesses (sold along with AMP’s Australian life assets to UK-based Resolution Life last year in a complex deal) recorded a net profit of A$61 million for the same period. 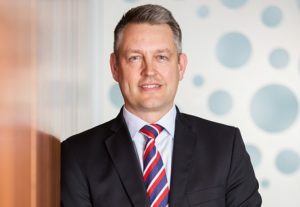 AMP NZ chief, Blair Vernon, and Sydney-based head of AMP Life, Megan Beer, have been charged with whipping the group’s remaining NZ assets into IPO-shape this year. The NZ arm of AMP Capital will remain under the umbrella of the ASX-listed entity. Meanwhile, last week’s release from AMP has softened up investors for a disappointing 2018 annual result as the firm absorbs losses arising out of its poor showing at the Australian Royal Commission into financial services. In the release AMP flags an almost 100 per cent year-on-year drop in net profit of just A$30 million for the 12 months to December 31 on an operating profit of A$680 million. AMP will book advice remediation and Royal Commission-related costs of A$200 million for the six months to December 31 after racking up about A$325 million for the same purposes during the first half of last year. The financial services conglomerate reported total operating earnings of A$220 million for the second half of last year, comprising A$325 million from its retained businesses and a A$105 million loss from the life arm. Under the terms of the deal, Resolution Life assumed all “risks and profits” of the AMP life business from July 1 last year. However, AMP retains responsibility for the life unit’s “operations and capital management” until the sale is completed – due in the later half of this year. All proceeds from the life sale will be returned to shareholders once the deal goes through, the release says. And 2019 looms as another challenging year, AMP says, with its retained businesses likely to be hit “by external market conditions, the regulatory environment, implications of the future strategy and a number of previously advised factors”. AMP shareholders should expect a dividend of 4 cents (down 70 per cent on previous) for the second half of 2018, the release says. The group’s share price was down over 7 per cent to A$2.35 post the announcement last Friday.